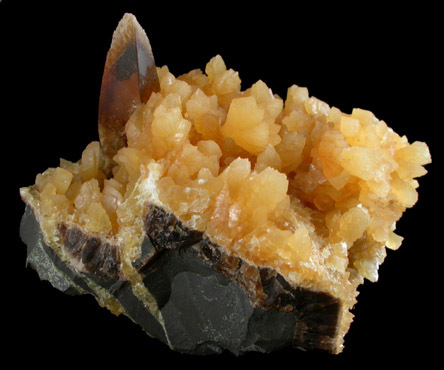 Description: Many crystals of golden calcite up to 12 mm with a single barite crystal 32 mm long on limestone matrix. 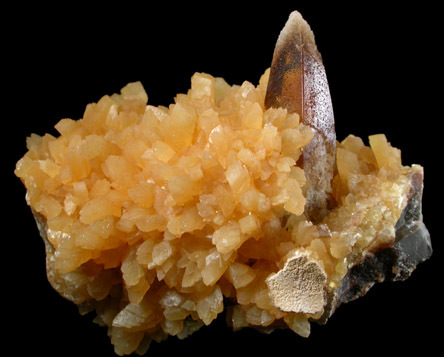 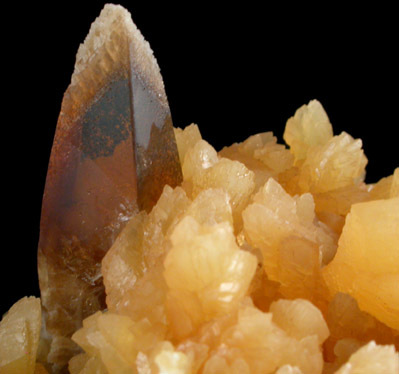 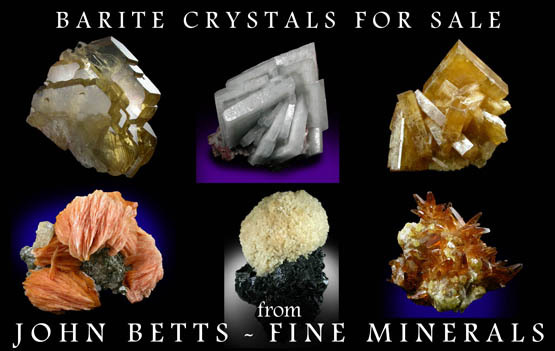 The barite crystal is transparent, amber-colored with frosted termination. 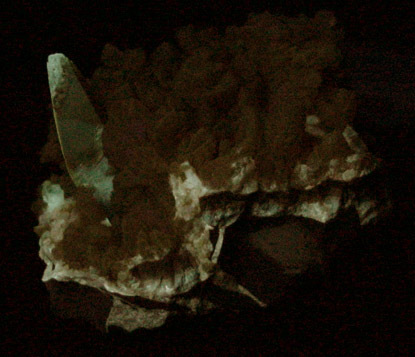 The calcite and barite fluoresce under UV illumination.